Being a black woman in America means contending with old prejudices and fresh absurdities every day. Comedian Phoebe Robinson has experienced her fair share over the years: She's been unceremoniously relegated to the role of "the black friend", as if she is somehow the authority on all things racial; she's been questioned about her love of U2 and Billy Joel ("isn't that...white people music? "); she's been called "uppity" for having an opinion in the workplace; she's been followed around stores by security guards; and yes, people do ask her whether they can touch her hair all. The. Time. Now she's ready to take these topics to audio - and she's going to make you laugh as she's doing it. Using her trademark wit alongside pop-culture references galore, Robinson explores everything from why Lisa Bonet is "Queen. Bae. Jesus" to breaking down the terrible nature of casting calls to giving her less-than-traditional advice to the future female president and demanding that the NFL clean up its act, all told in the same conversational voice that launched her podcast, 2 Dope Queens, to the top spot on iTunes. 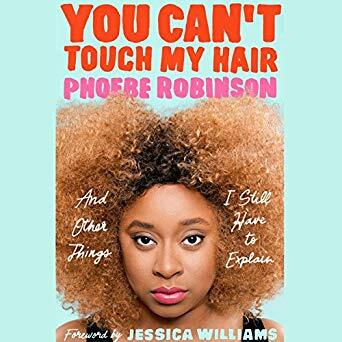 As personal as it is political, You Can't Touch My Hair examines our cultural climate and skewers our biases with humor and heart, announcing Robinson as a writer on the rise. Phoebe Robinson is a comedian and author. She has a fun take on serious subjects. She talks about learning to love yourself and your hair, how society views natural black hair, systemic racism, and the cluelessness of most white people in regard to anything regarding POC (people of color). 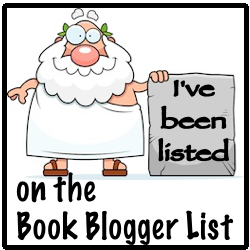 Her observations are told with humor but also with honesty and an in your face unapologetic approach. This may be better as a book than an audio book, because while I adore Phoebe listening to her for 7 hours in a row can be a bit too much, I found I had to stop and listen to something else every so often. I mean seriously I don't think I could listen to any comedian for 7+ hours in a row its just too much energy and my brain started to spin. So I suggest you get the book because Phoebe's insights into her life and her life as an African American woman are great and really are things that I'm sure that she is tired of explaining to non POC but that they really need to get a clue about.